I was recently invited to Microsoft’s campus to see the cool things they have been up to and one of the highlights was visiting the Microsoft Retail Experience Center. This was an on-premise environment that replicated various retailers and showcased cool technologies that retailers – big and small – could use to amp-up their business, supported by Azure. ● NFC-enabled coaster that by putting it down on your table could enable your server to know that you needed another beer. ● Opt-in beacon technology that allows you to place your coffee order as you near the coffee shop and have it ready and waiting for you when you arrive. 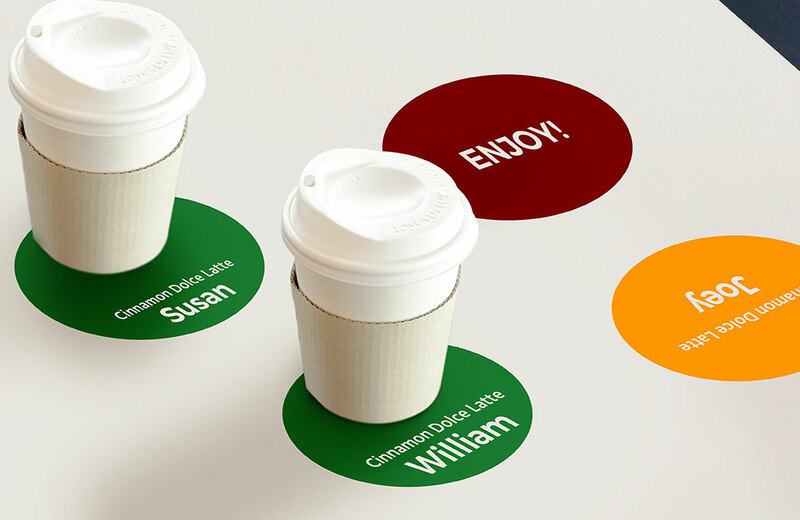 ● Digital projection onto the counter, allowing the barista to place your cup in a specifically labeled virtual circle so you know which coffee is yours, no scribble-interpreting needed. ● Opt-in tech that lets retailers track existing customers that are part of their loyalty program in the store, so they know what to recommend and upsell them, based on their location and purchase history. ● Video screens with FaceCake software that let you try on makeup, clothing and accessories “virtually,” see what you look like and even view side-by-side comparisons of different looks right at the point of purchase. ● Tablets that dock for security (so they don’t walk out the door) but disconnect so that sales associates can demonstrate product features to the customers in the store. ● Vending machines, enabled with both interactive information about the product (like nutritional information) and a camera that scans you, analyzes data and tailors suggestions based on demographic information. There were many more examples, but that’s just some of the creative ways retailers will be using technology, many that could add significant ROI to a retail business. I will say one other thing that stood out, is that using the Azure platform in the cloud gives companies full control over their own data. This means that the very robust and valuable customer behavioral and related data that you, as a retailer, collect from implementing new technologies is fully owned and controlled by you, and not shared with Microsoft. This is very different from other cloud providers, who, as part of their services agreement, have access to the aggregated data that you collect while using their platforms – something that you should seriously consider before you pick a cloud-services provider. If you are a retailer or aspiring retailer that wants to implement technologies, there are a bevy of partners that can help you to think through and implement the new technologies in your location. Some of the ones highlighted at the Retail Experience Center included Ava Retail and Swivel. As a customer as well as a customer loyalty and experience strategist, I look forward to seeing entrepreneurs implement these technologies and variations on them to improve the customer experience – and their own business success.